HEROES Mark and Wally with their sons Eliot and Daniel at Chipping Norton during Border Raiders Album recording. Young Heroes Eliot and Daniel checkin' out the playback! Heroes marketing by Polydor Records. 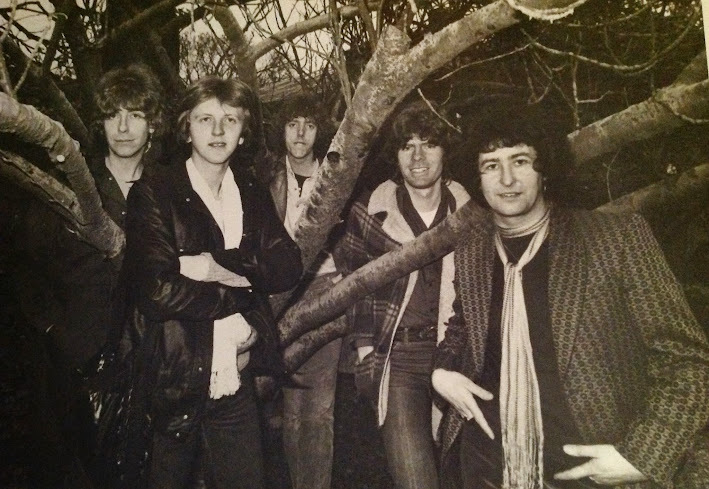 Heroes in the garden at Chipping Norton Studio during a break recording Border Raiders album. Henry Morris is there as Ligger and friend of the band !! One of the guys went into the village and came back with a water pistol !! Nags Head concert poster from 1980. German concert tour poster from 1980. German concert tour itinerary from 1980.